The 2-Stage Compact honors its promises. That's just how it is for this tactical masterpiece knife built by CRKT. Teax designer Robert Carter did his state and nation proud. 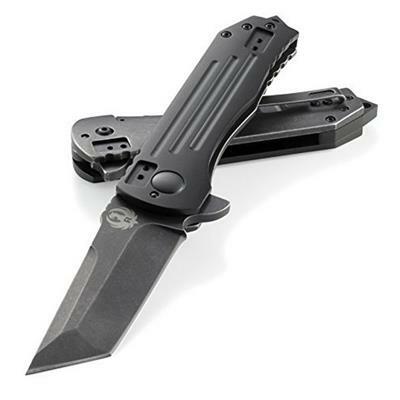 Foulding tactical knife with frame lock and blade flipper - featuring a black, stonewashed tanto blade; machined hard anodized aluminum & stainless steel hande; and 4-position clip.